Jaz Brisack is the 26th Rhodes Scholar and the first female Rhodes winner in University of Mississippi history. She is a general studies major who plans to study public policy during her time at the University of Oxford. In April, she was named the university’s 15th Harry S. Truman Scholar. The junior was one of three UM finalists selected for the coveted scholarship. 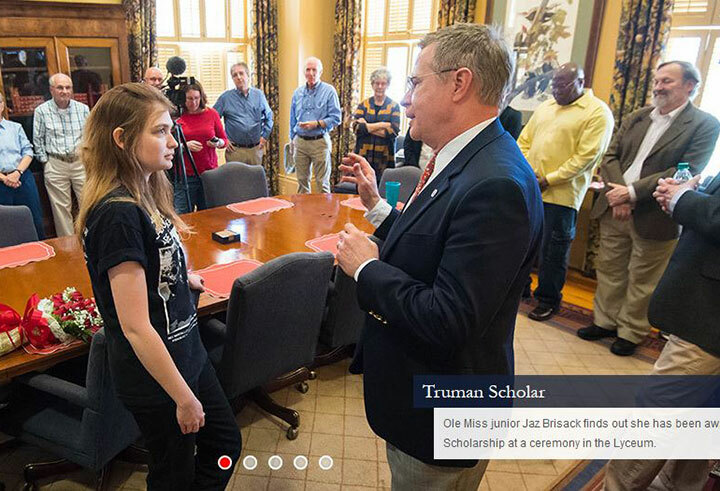 UM Communications reported that Chancellor Jeffrey Vitter told the Oxford native and Sally McDonnell Barksdale Honors College student about her win. Joe Atkins, professor of journalism, has taught at the University of Mississippi since 1990. 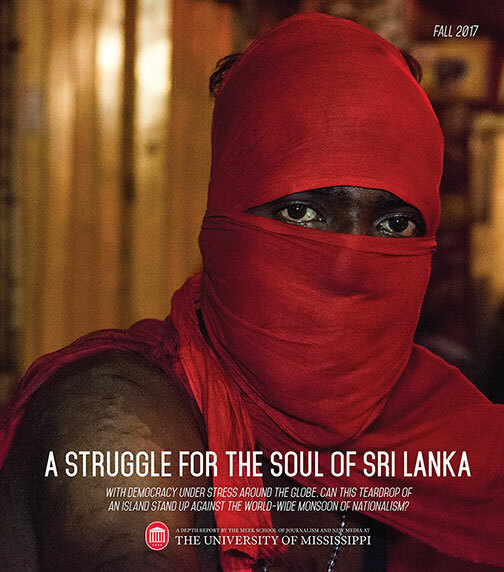 He teaches courses in advanced reporting, international journalism, ethics and social issues, media history, and labor and media. Atkins has taught Brisack in six courses, including Honors 101, Honors 102, Honors 399 (feature film and social issues), Journalism 580 (documentary and social issues), Journalism 301 (media history) and Honors 391 (conversations on social issues). He is also advising her and chairing her committee for her honors thesis. Atkins said Brisack arrived at UM with a deep knowledge of labor and social history and a deep commitment to social justice issues, which she has demonstrated in a wide variety of activities, ranging from teaching in the Mississippi Delta to working with the United Auto Workers in the Nissan campaign in Canton. Atkins noted Brisack’s excellence in the classroom, fine writing skills, and commitment to a wide range of important activities beyond the classroom. Curtis Wilkie, Meek School Overby fellow and an associate professor of journalism, has taught Brisack in three courses. Last semester, she was enrolled in Wilkie’s Honors College course on presidential debates. Janet Brown, executive director of the Commission on Presidential Debates who was instrumental in bringing the first 2008 debate to the Ole Miss campus, has been the guest lecturer for the past two weeks. “Jaz not only gets high grades and is active in extracurricular interests,” Wilkie said, “but I found her to be one of the best-read students I’ve had in 17 years teaching at Ole Miss. That came across in the first class she had with me, when it was apparent she had already read so many of the books I mentioned. That was impressive. UM Communications reports that Brisack’s honors include having an article, “Organizing Unions as Social Policy,” published in the Global Encyclopedia of Public Policy, being a winner in the Creative Nonfiction division of the Southern Literary Festival and receiving the UM Outstanding Freshman award. Brisack is also a National Merit Scholar finalist, a member of the UM debate team, and a recipient of the Honors College Extraordinary Research Funds and the Penny Leeton Service Award, UM Communications reports. She is also an Opinion columnist for The Daily Mississippian, the campus newspaper. “I want to help create a network of independent locals with self-determination that retain nationwide leverage while maintaining a decentralized approach,” Brisack said in the news release. The Harry S. Truman Scholarship is highly competitive scholarship of up to $30,000 given to college juniors who have leadership potential and a commitment to public service. It was created in 1975 in honor of the 33rd president. The UM Communications news release mentioned in this post was written by Edwin Smith.